On tonight’s all-new episode of The Real Housewives of Beverly Hills, Kyle Richards and Lisa Vanderpump will tackle the raw aftermath of their blowout fight! But it’s a very inappropriate birthday message from Lisa Rinna to Lisa Vanderpump via Twitter that raises a few eyebrows and creates quite a stir on tonight’s episode. Back in September 2018, the soap actress sent a belated birthday wish with a photo a plate of cupcakes sprinkled with pills. In the episode, Teddi Mellencamp tells Rinna “I thought that was so funny.” Rinna replies that it’s been a running joke in her family. Rinna carries a little plastic bag of pills. 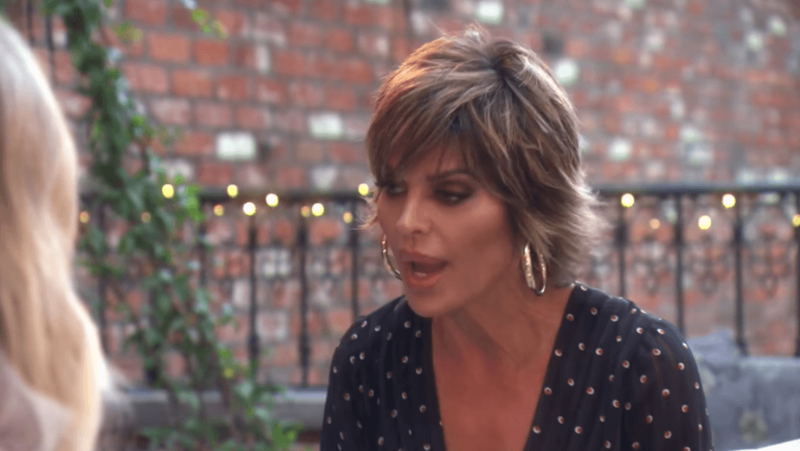 “I didn’t know her brother died the way he did.” Rinna tells Teddi after she reached out to Vanderpump to explain her tweet. As fans know, Lisa Vanderpump’s only sibling Mark Vanderpump death in 2018 was ruled a suicide. The Real Housewives of Beverly Hills airs Tuesdays at 9 pm on Bravo.